(Reuters): Toddlers who have poor relationships with their mother are more likely to pack on extra weight as they grow up, according to a study. Researchers who followed nearly 1,000 children into their teens found that more than 25 percent of those who scored lowest on mother-child relationship tests as toddlers went on to become obese at age 15, findings in Pediatrics said. 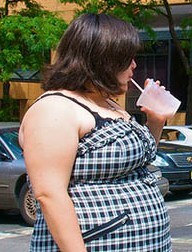 By contrast, only 13 percent of the children who had a good relationship with their mother became obese. While that doesn't prove cause and effect, researchers say other work has shown links between children's emotional and intellectual development and how they interact with their mother at a young age. It's possible that a stressful childhood could make a lasting impression on children's brains, said Sarah Anderson, who worked on the study. "There is an overlap in the brain between the areas that govern stress and energy balance," said Anderson, at the Ohio State University College of Public Health in Columbus. "This stress response could be related to obesity through appetite regulation." The study was based on 977 children who were videotaped while playing with their mother at about one, two and three years of age.